Tips and Tricks : No need to buy any chemical weedkiller anymore! Use this 100% natural weedkiller! You will never find a natural formula as effective as this one! Tired of paying the big price for a chemical weedkiller in store? Smelling them, we are afraid to let our children and our animals walk on the lawn! DO NOT DO IT ANYMORE! 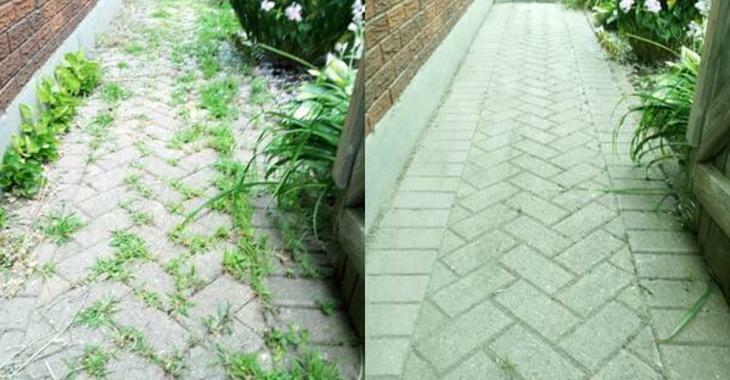 Weed with a super effective formula and much more natural to eliminate all the weeds you no longer want! -And Epsom salt makes sure that the weeds never grow back! TRICK:Warning ... This formula is so effective, it destroys everything in its path!